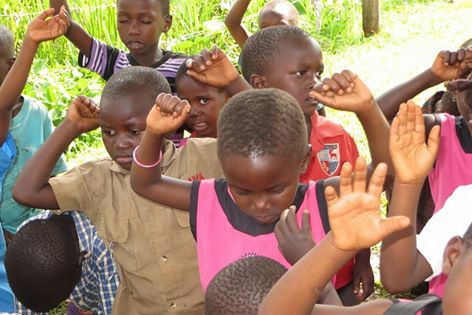 The nursery children of King's Kids Learning Center worshipping Jesus. After school is over and the children are on their way home, they see Mama Linda. They stop to sing for her. Within a few minutes their cute little songs turn into worship. They lose theirselves in Jesus. Some bow down. Other raise their hands. Only a few play by the side. The children are consumed with the sweet presence of Jesus.